Can you believe we’ve almost come to the end of 2014? 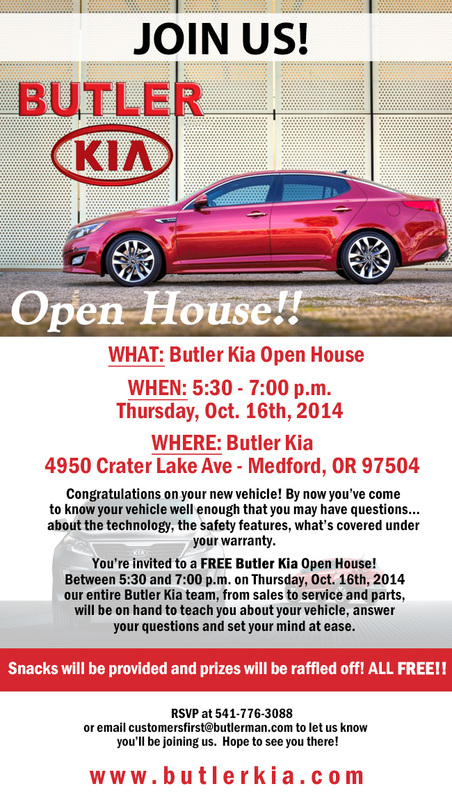 To help end the year on a high note we’ll be holding our sixth and last Open House of 2014 at Butler Kia on Thursday, October 16th. As always, it’ll be a party that doubles for an educational opportunity! Call or email us your RSVP today!